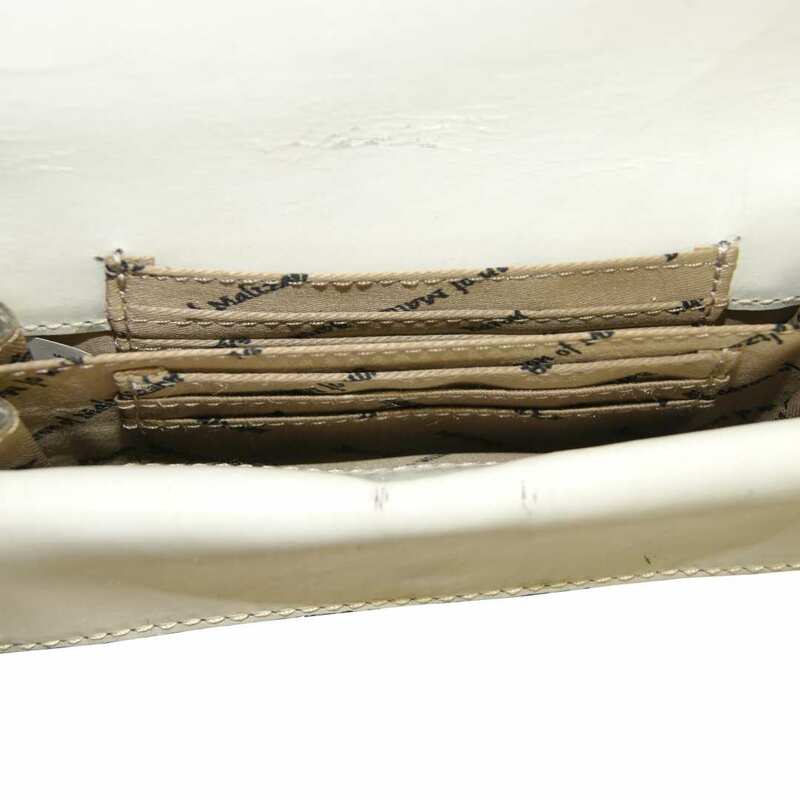 Product information "Wallet MALALA of dusty-white leather"
Do you love an informal, casual clothing style and would like to get a wallet of these characteristics? 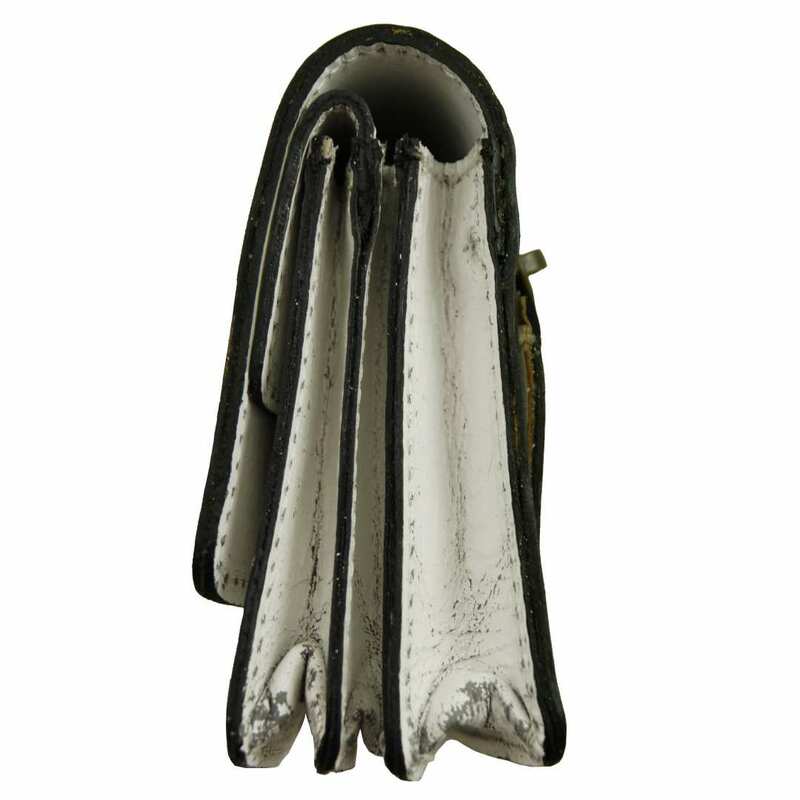 Then let yourself get captivated by the exclusive wallet MALALA of dusty-white leather! So cool and clever as yourself! When it comes to fashion, do you like to express your relaxed and clever personality not only through clothes, but also through the accessories that you wear? Are you looking for a wallet which conveys a sense of style, shows an elaborate design and is a high quality product at the same time? If this is your case and you are not interested in ‘fast-fashion’ at all, your pursuit has come to an end. 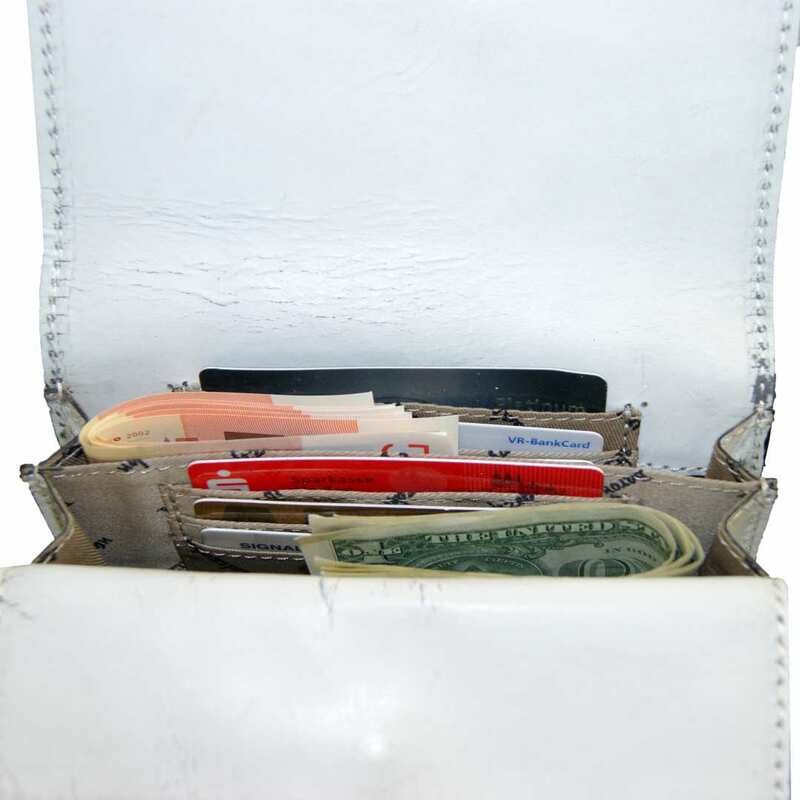 You will absolutely love the wallet MALALA of dusty-white leather! 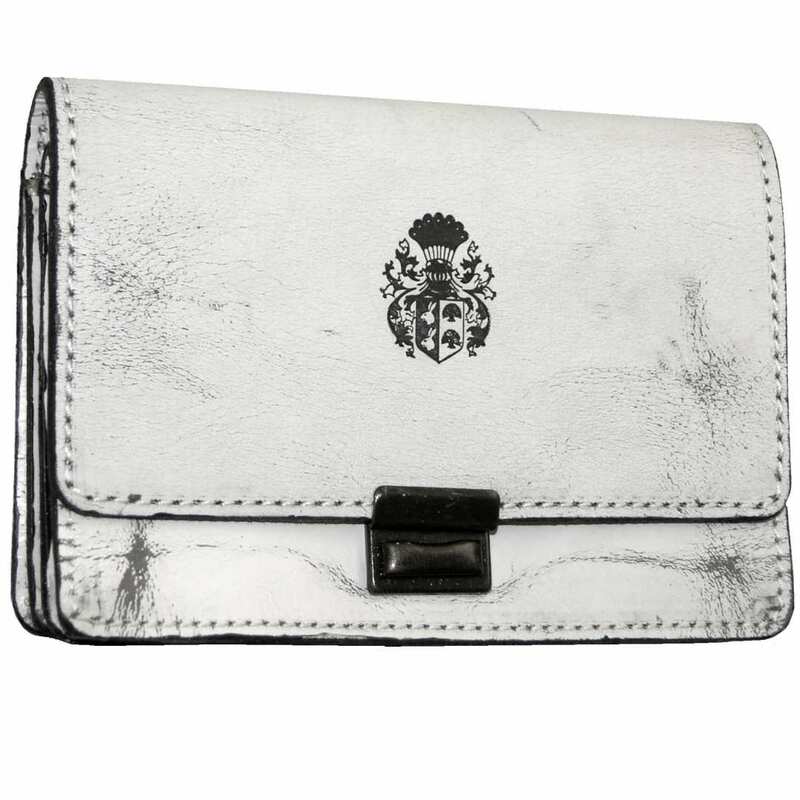 The white money purse MALALA of antique leather combines a casual style with a functional design and is therefore an accessory for eternity. The contrast of the white leather with a ‘used’ appearance and the black tone of the embossed crest provides a casual, fantastic look. The three-level ladder lock permits you to close the wallet according to your personal preference and the various compartments offer enough space for cash, credit cards and different documents. Be best-prepared with the wallet MALALA of dusty-white leather! 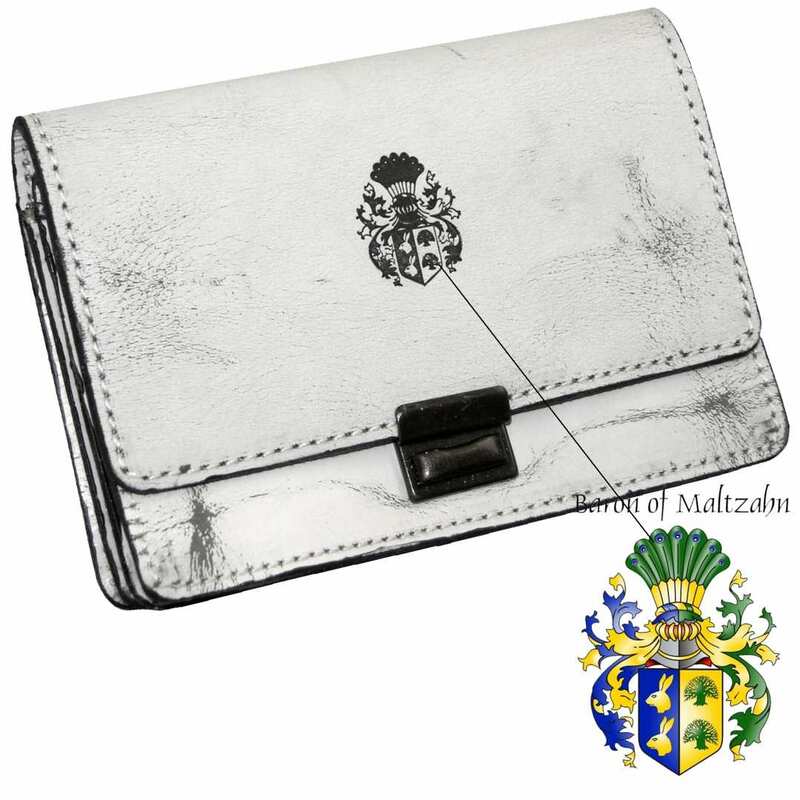 The white money purse MALALA of the Collection BARON of MALTZAHN consists of manually-treated, white leather in antique style and provides a safe and adjustable three-level locking buckle. In the two large inner compartments, the big front pocket with a snap button, the six card slots and the extra zippered back coin pocket, all essentials find enough space. The noble crest in black is embossed on the front side of this accessory. 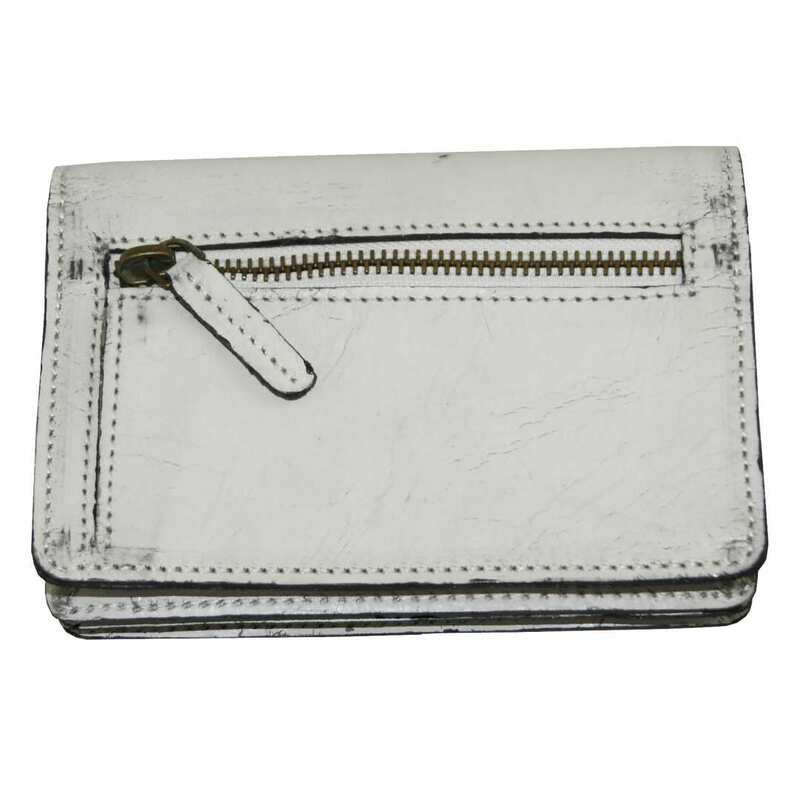 Do not wait any longer and enjoy the wallet MALALA of dusty-white leather for a whole lifetime! Reviews for "Wallet MALALA of dusty-white leather"